When you need a new water heater today, look no further. DRF offers same day installation of the water heater that's right for you with our exclusive best value price guarantee! A new water heater can be installed same day! Sometimes you can not repair the water heater and it is best to replace the old water heater with the installation of a new water heater. There are two types of water heaters that are to be considered when replacing your water heater. A traditional tank unit or a high efficiency tankless model. A traditional water heater tank can be installed same day by DRF. 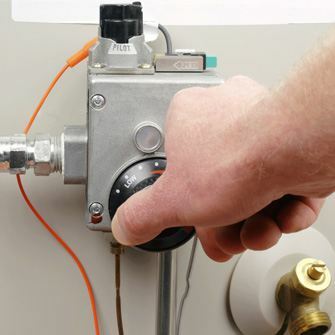 A tankless water heater installation may take 2-3 days to install due to many installation factors. When it comes time to replace your water heater it is important to be proactive and have a trusted and professionally licensed plumber selected to perform the new water heater installation. DRF Trusted Property Solutions installs more water heaters than anyone in the Midwest and will provide nothing but the best, code-compliant professional installation of your water heater. In the event you are unable to be proactive in replacing your water heater and your water heater unexpectedly fails, DRF’s hot water experts are on call 24/7 and are able to install a new water heater same day!